Many people love attending Open Houses, but don’t quite understand how to behave or what is expected of you when you tour an Open House. The next time you see a sign with balloons indicating that there is an Open House down the street, follow these helpful tips when you decide to tour the home. Unless there is a sign posted at the door of the Open House instructing you to knock or ring the doorbell, it’s okay to walk inside. If you don’t see anyone to greet you, go ahead and call out a greeting. They may be in another room of the home and unable to get to the door right away. Open Houses can be hosted in different ways. The person who greets you may greet you at the door, and they could be the agent, a neighbor, or even the seller of the home. One important thing to remember is that if you want information, you simply have to ask for it. If you are curious about whether the agent greeting you at the door is the listing agent, ask them. If you are already working with an agent, let the agent hosting the Open House know and give them your agent’s card, so that they don’t solicit you. If you are still shopping around and looking for an agent, let them know that as well. 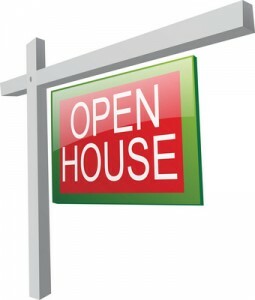 It can often be a good opportunity to interview an agent because you can meet them face-to-face during an Open House. It’s okay to stop by an Open House just because you were passing by. The agent will still be happy to take you on a tour of the home. Neighbors are welcome. Sometimes people feel uncomfortable stopping by an Open House if its in their neighborhood and they have no intention of buying the home. But it can actually be a good thing if you live in the area and decide to check out an Open House. The agent showing the home might want your feedback on the property and the neighborhood. You may also be able to suggest the property to a friend or family member who has always wanted to live in the area. « Is Owning a Home in San Diego Expensive?